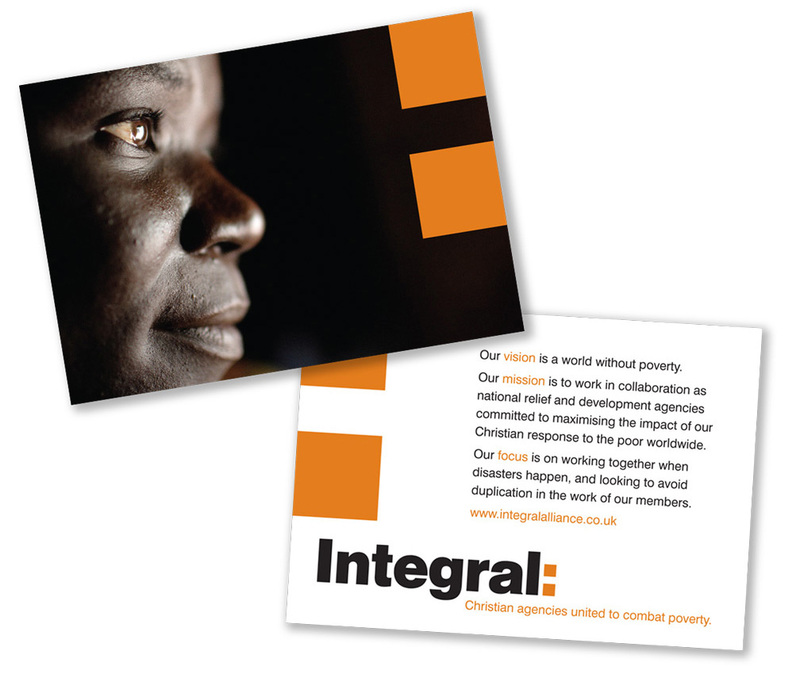 A brand identity for an international relief and development agency. 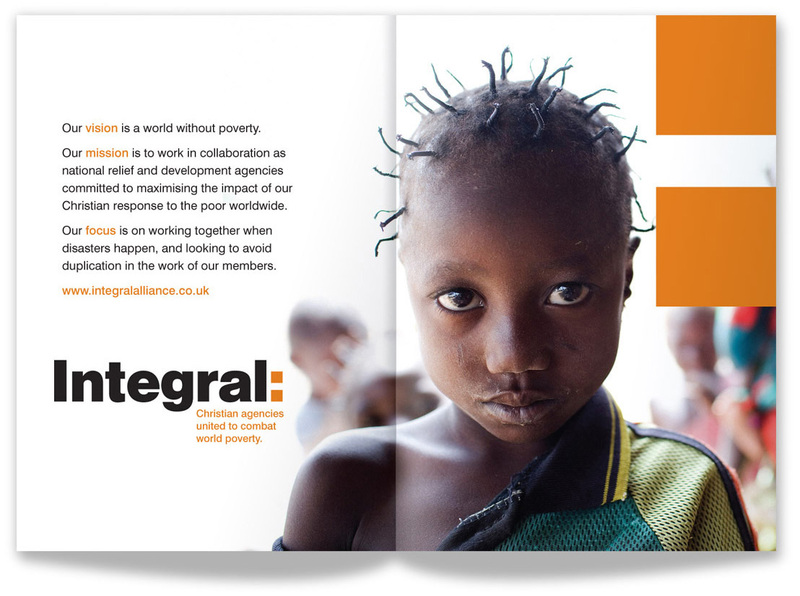 Integral is a charitable organisation uniting 23 international relief and development agencies for the greater effectiveness and impact of the work they undertake through more than 600 partner groups in 85 countries. There have been a number of occasions where we have been brought in to rescue a failing design process - this is one such project. Prior to our involvement, months of research and development work had been done with a high-profile, 'household-name' branding agency. But with no final agreement being reached among the many international stakeholders on visual representation, or even on what the organisation would be called, we were invited to rethink the strategic and creative direction of this vast project. By the time we were brought on board, a certain amount of 'design process fatigue' and skeptisim had set in among those involved. Our first step, however, was to return to fundamentals and discuss the vision, mission and focus of the organisation with the CEO and senior directors who were steering the project. We also wanted to get their perspective of where and why the previous work done in establishing the new identity had fallen short. Researching the outcomes of the stalled process, we assessed what was relevant to our own understanding of what was required and how much of that could be taken forward and explored further. 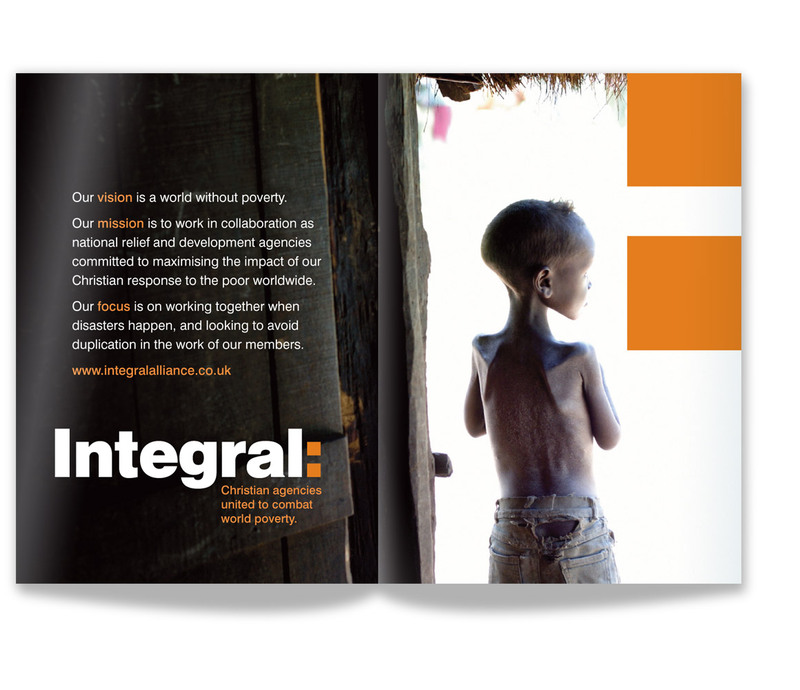 'Integral' was one of the suggested names for the rebranded organisation to emerge early in the previous process but, for a number of reasons, had been disguarded. In view of what we ourselves had learned in our discussions and in our own process, we felt this name had potential for exploration and development. Other aspects around which no agreement had so far been reached, perhaps understandibly with so many interested parties, were the issues of a strapline to support the brand, and an appropriate graphic language. As a Christian organisation, it had previously seemed natural and appropriate that a cross would form part of the brand identity. However, it was also clear that in some of the territories in which the partner organisations were working, a Christian cross could be seen as at best insensitive and at worst antagonistic, therefore hindering the effectiveness of the work it aimed to do - perhaps even preventing access to some territories at all. Various other ideas for motifs had been proposed but none had convinced the decision making team. In our own process, we kept coming back to the definition of 'Integral' as 'something that is important for completion', implying that the organisation's member groups were each necessary and vital in comprising one entity. In view of that, we asked ourselves if it was really necessary to add any form of graphic motif or device at all, the word being its own explanation and 'guarantee'. 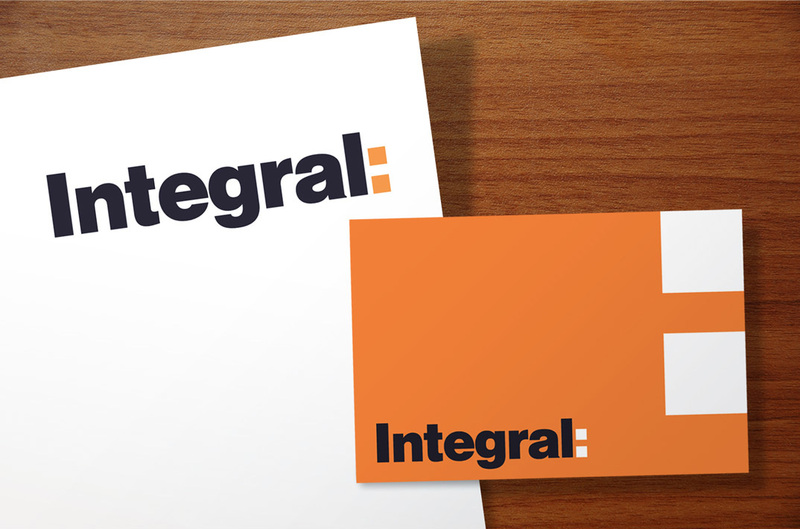 In our visual development we explored solid letterforms that would enable the word 'Integral' to become its own marque with a serious and foundational form. And, while certain we were correct in this approach, we still felt we needed a very simple way of communicating ideas of the organisation's purpose and forward progression without detracting from this rationale. Hence the introduction of the colon whose function was to convey Integral as 'having its purpose in what follows'. The colon would then become a bold, graphic device in the implementation of the brand across various contexts and media in such a way that it would also hint at the Christian cross without overtly becoming one.